TOKYO (Sputnik) - The concept of the Medical Center of Russian-Japanese Friendship in Moscow can be "cloned" in other cities both across Russia and the Commonwealth of the Independent States (CIS), Alexei Izotov, the head of GlavUpDK, the state-owned company servicing foreign diplomatic and corporate offices in Moscow, told Sputnik. As part of the project, a new building, which will total over 236,000 square feet, is to be constructed and integrated with an existing clinical and diagnostic center in Moscow to create a single complex. "The project is unique in its essence, nothing like that has ever existed in Russia or Europe… But we look much further, and this is only a pilot project, once it’s implemented, it can be ‘cloned‘ in our big cities and regions, as well as in the CIS countries," Izotov said after presenting the project at the Russian Embassy in Japan. 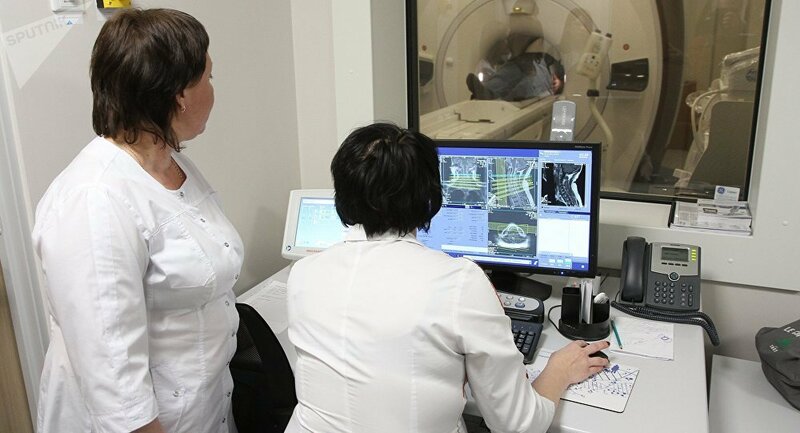 According to the official, Japanese medicine has achieved great successes in treating serious medical conditions, so this joint project and Japan’s "know-hows" can improve Russian medicine. The official noted that he discussed this question with representatives of the CIS countries, and "they consider it to be very interesting." According to Izotov, Japanese companies are expected to finance up to 49 percent of the project. Its total cost is 9 billion yen (over $84 million).